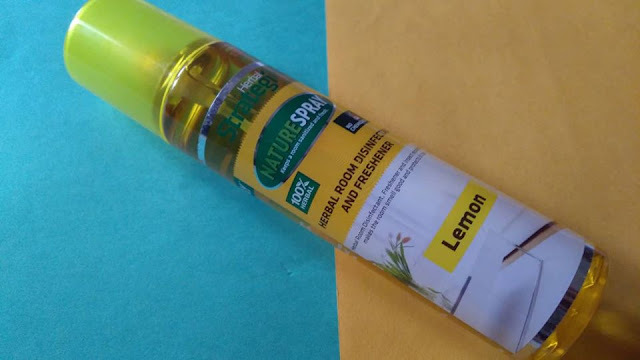 Herbal Room Freshener (Lemon) is the one-stop solution for bad odours and gives you that fresh breath of air that you have been looking for a long time. Made of herbal ingredients like Lemongrass Oil, Lemon Oil, Neem Oil, Cedar Wood Oil, Water and Ayurvedic Proprietary Medicine, it is a viable option to replace products that have a chemical composition and can be harmful. These air-fresheners are extracted from natural ingredients and are thus extremely eco-friendly. They do not cause any side-effects or respiratory discomfort. It leaves behind a lingering soothing fragrance. 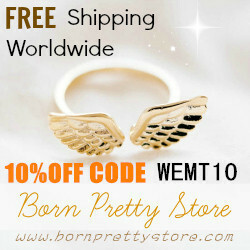 Available in other fragrances like Sandal, Lavender, Rose, White Lily etc. 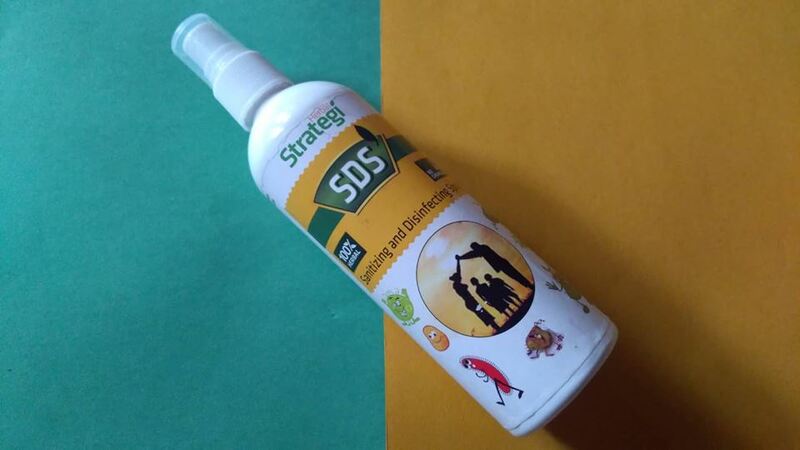 SDS is a 100% herbal Sanitising and Disinfecting Spray which is biodegradable, non-toxic and eco-friendly. This herbal spray has antibacterial, fungicidal and antimicrobial properties, which help keep viruses, bacteria and fungus at bay. It is made from a unique blend of plant extracts and aromatic oils like Bhutika Oil, Roshika Oil, Tulasi Oil, Tailaparna Oil and Water. It effectively kills the odour producing bacteria and germs present in the air and immediately eliminates all bad odours. I spay it on my bedsheet to disinfect it before bedtime. The Dish Wash Liquid is made exclusively of plant extracts and aromatic oils which are 100% herbal in nature. The dish wash is not only chemical-free and safe for your utensils, but is also gentle on your skin. This acid-free dish wash liquid has to be mixed in water and then used for cleaning the utensils with a gentle scrub. 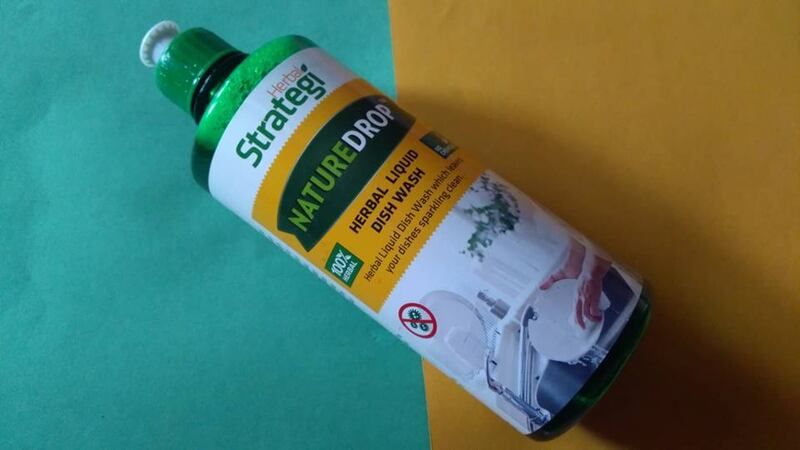 It rinses off quite easily and does not leave behind any residue after the wash. For greasy n oily stains on the vessels, do pour the concentrate directly on the stain and scrub after a minute or two to effectively remove grease and germs from your dishes..
Herbal Floor Cleaner is made from Lemongrass, Cedarwood and Sarala Oil. It can be added to half bucket full of water while mopping the floor. The mop cleaner is best suited for cleaning the Tiles, Stone, Granite and Indian Marble surface. Avoid cleaning the Italian Marble and Hardwood floors. It acts as a natural disinfectant and repels bugs and insects. 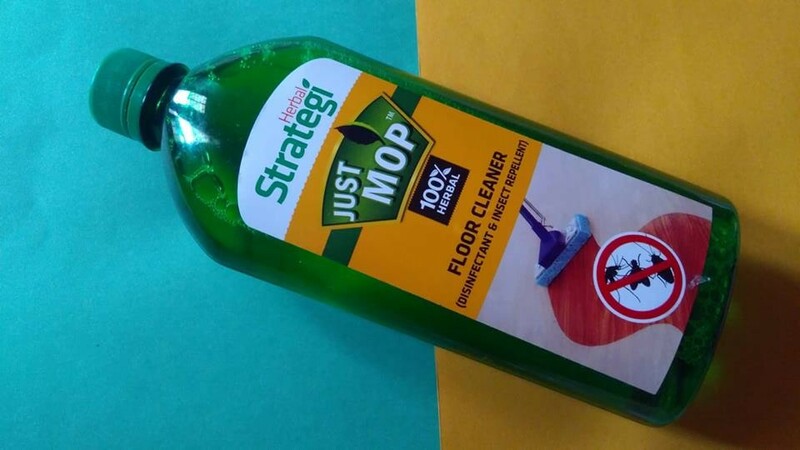 Yu may also remove the stubborn stains on the floor by applying a small amount of undiluted cleaner liquid to the stain and mopping with water after few minutes. 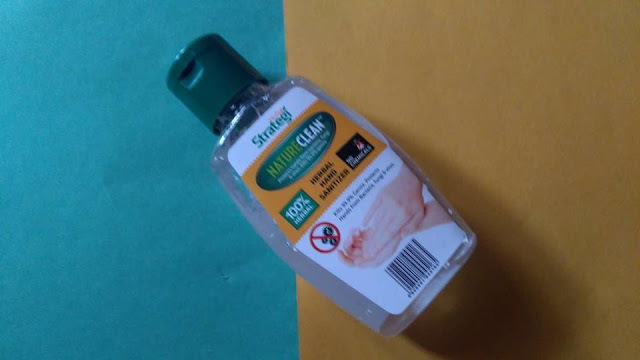 Nature Clean – Herbal Hand Sanitizer is the one that does not make your hands rough. 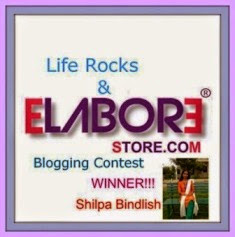 It is ideal for those who take cleanliness and sanitation seriously. 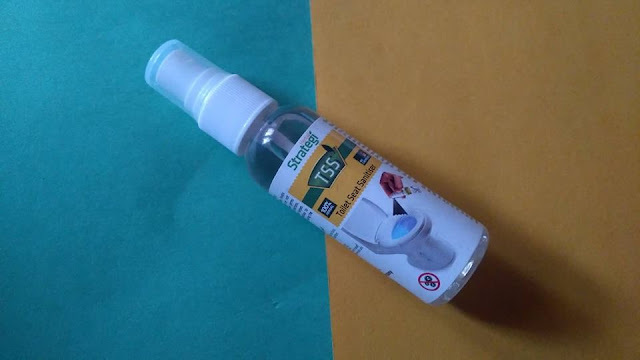 This herbal hand sanitizer makes sure that your hands remain supple and soft and also gives you germ-free skin. Its mini pack easily fits into my bag, hence making it handy when in need. It's nicely fragrant. It's herbal composition includes Lemongrass Oil, Neem Oil, Lemon Oil, Tulsi Oil, Water, Ayurvedic Proprietary Medicine. I specially like its gel-like tecture which is not runny and watery thin. The biodegradable Kitchen Cleaner Spray is made of plant extracts and natural oils that are not toxic in nature like Lemongrass Oil, Cedar Wood Oil, Pine Oil, Water and Ayurvedic Proprietary Medicine. Being eco-friendly and safe, it is the best substitute for chemical-based products that have hazardous effects on your health. I've used it to clean my microwave, cooktop hobs and kitchen chimney. 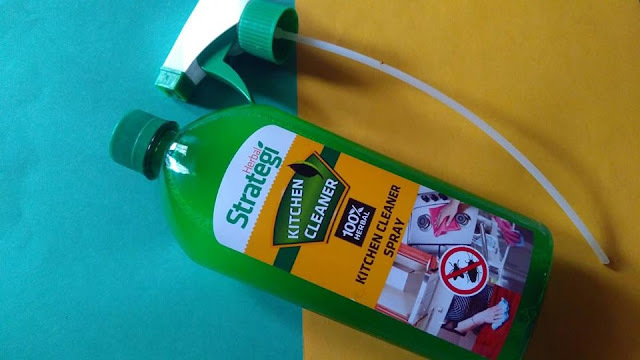 It effectively removes any greasy buildup from the appliances and keeps the flies and insects at bay. It also smells nice so that its not bothersome to your sensitive nose. 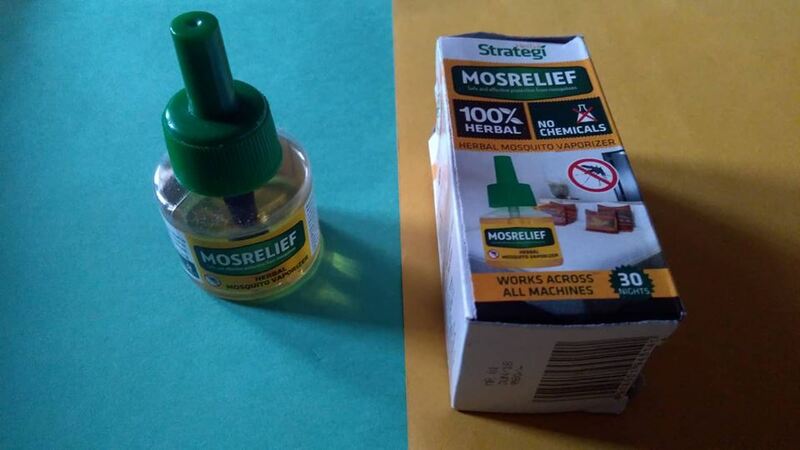 An additional pump came along to convert the bottle into a pump spray once you open it. 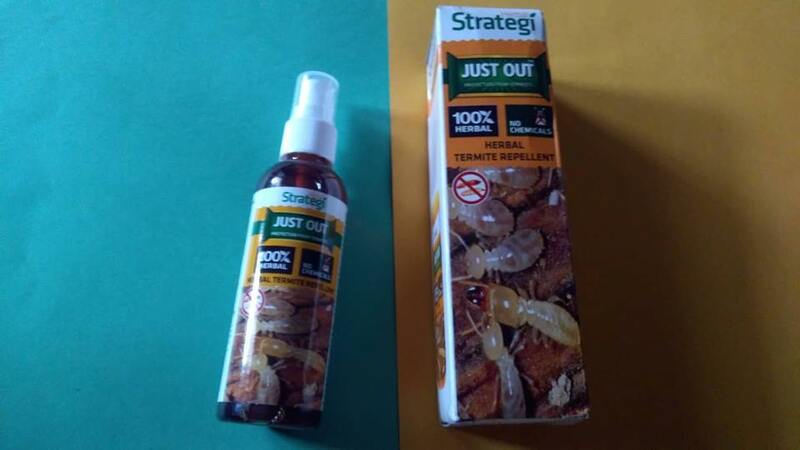 Herbal Termite Spray is made from Lemongrass, Neem and Cedarwood. It can be sprayed on crevices and gaps in infected wood furniture, doors, cupboards and on mud tunnels and trails of termite seen on walls. It's dvised to repeat the spray once a day at infected areas for a week to eradicate termites and not letting them hatch the eggs. Herbal Mosquito Vaporizer is a herbal, non-toxic mosquito repellent liquid vaporizer that repels mosquitoes for 8-12 hours. It's design fits all the machines that you might be using already. It's fragrance is not very strong, yet effective. One bottle suffice a month long usage. I carry a Toilet Seat Sanitizer in my bag wherever I go because the public toilets or the hygienic -looking toilets of our homes are hubs of infectious germs. This herbal toilet seat sanitizer makes sure that toilet seat is free of contamination and increases hygiene confidence. It is made of Eucalyptus globulus Labill, Citronella Oil, Water and Excipients. Just spritz it on the toilet seat and wait for a few second to let it vapourize. The product has antibacterial, fungicidal and antimicrobial properties. No use of harmful chemicals. 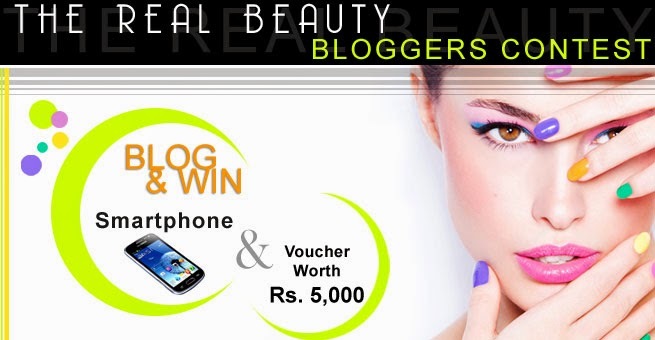 Made exclusively from natural ingredients and plant extracts. Refill available for most products. 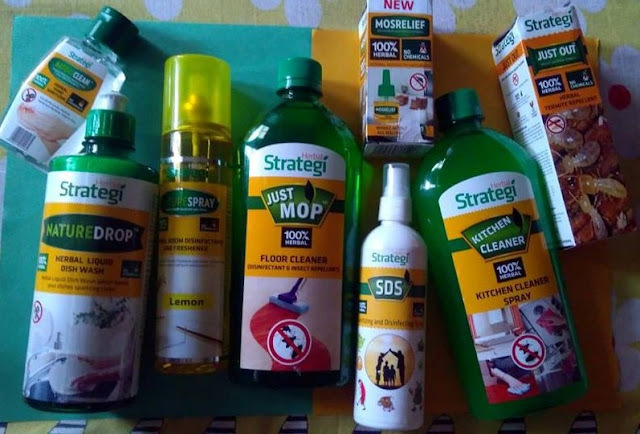 Labels: Herbal Strategi, Home cleaning, Review. I have used their floor cleaner and room freshener - it definitely is very effective and smells good at the same time.